and spring tables are always fun. 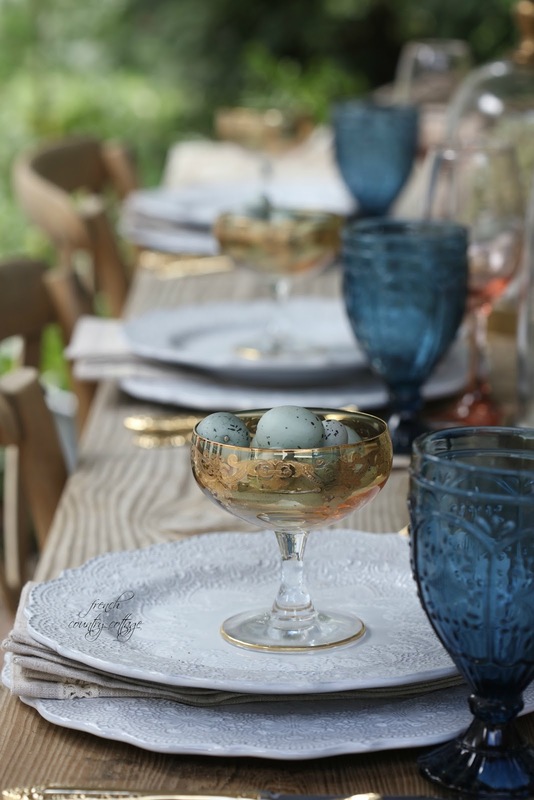 spring and Easter table settings are perfect for dazzling guests. And they are so easy to style. 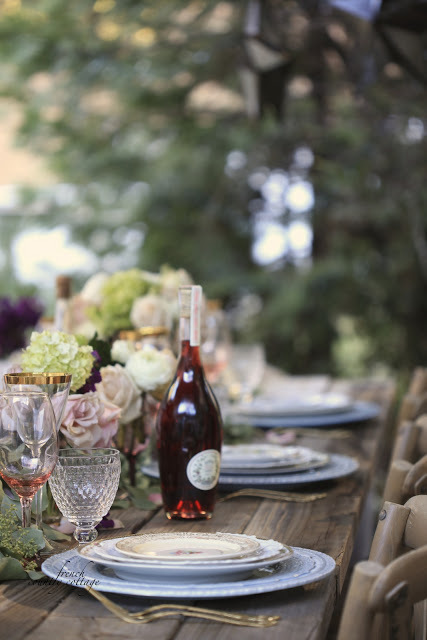 from flatware to dishes to stemware. 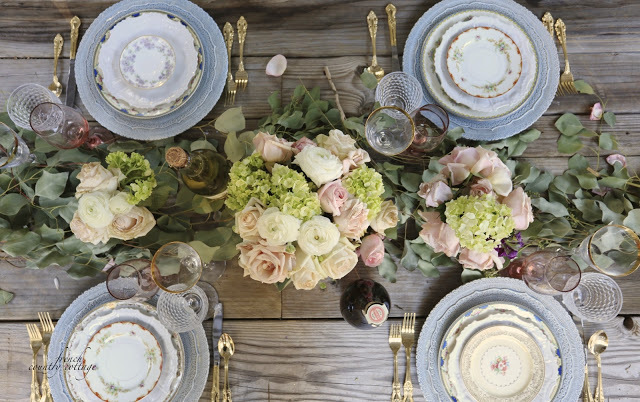 Don't be afraid to mix colors, styles, sizes when it comes to the table setting elements. and that mix and mingle gives your table a feeling of being collected over time. 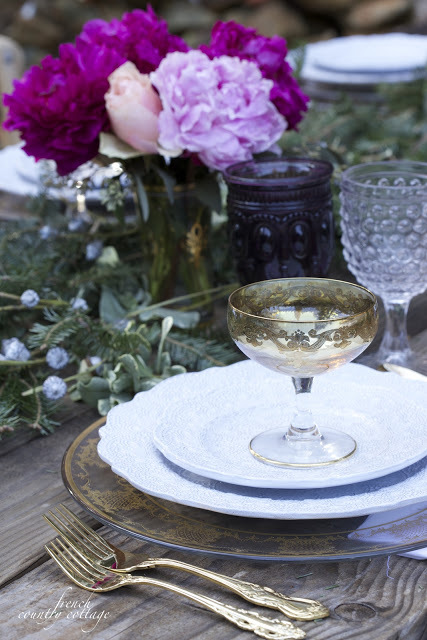 and of course gold rimmed stemware is always elegant and perfect. that add a burst of color. 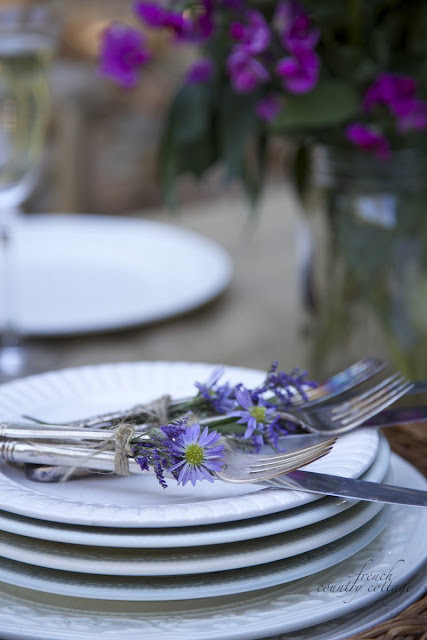 choose the flatware that is perfect for you and your table- and then dress it up. with small blooms tucked in. and place a large chocolate bunny in the center. or even with potted plants if you would like. think rabbits and book pages. This table mixed in a bit of that whimsy on a grown up level. 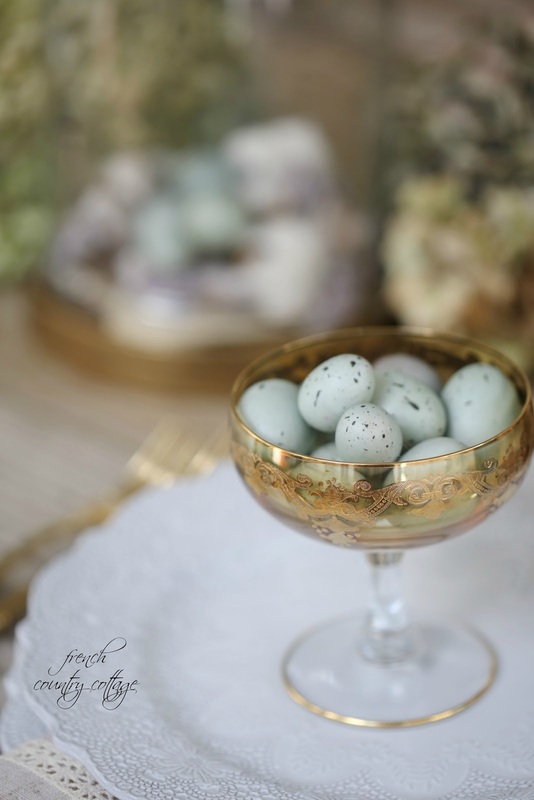 And don't forget little robins eggs for a soft color and charm. in small dishes at each place setting - which is sure to delight. 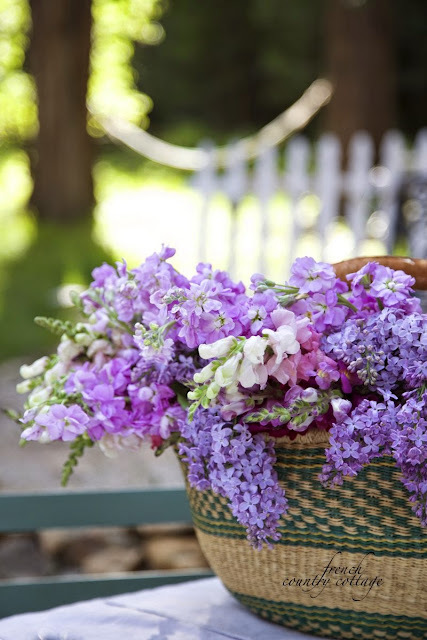 click on over to the Balsam Hill blog for the full post. 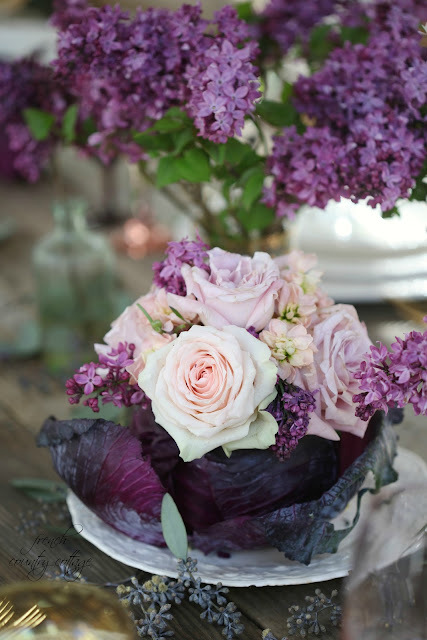 Mix and match, pretty centerpieces with a touch of elegance and whimsy. Your artistic eye for design is amazing! They're all so beautiful Courtney! I love setting a pretty table too. You have surely mastered the art. I love mixing and matching dishes...you have put together beautiful combinations. Every single thing is so pretty, Courtney. Happy Easter to you and your family! 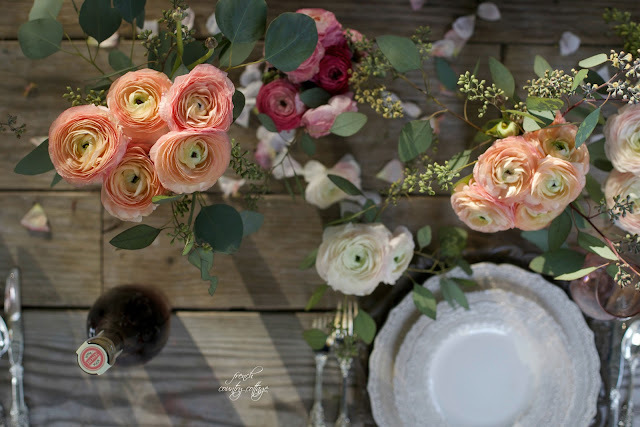 What lovely tablescapes!!! Your guests must always be so delighted to dine at your home. 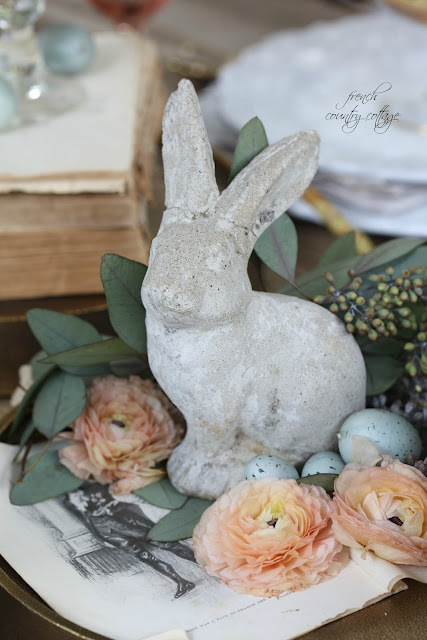 I love putting together special table settings - especially for holidays like Easter. Today, I picked up some great plates from Williams-Sonoma which I am going to incorporate into my Easter luncheon tablescape. The preview will be on my blog tomorrow (simplysantabarbara.blogspot.com). Best wishes for an enjoyable holiday. Beautiful as always-I really need you to teach me how to set a gorgeous table! So beautiful...love the blue glass! 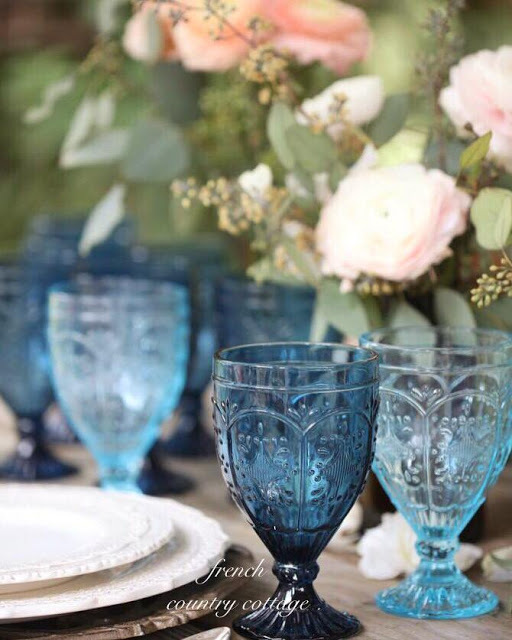 How can I find those lace print dishes?